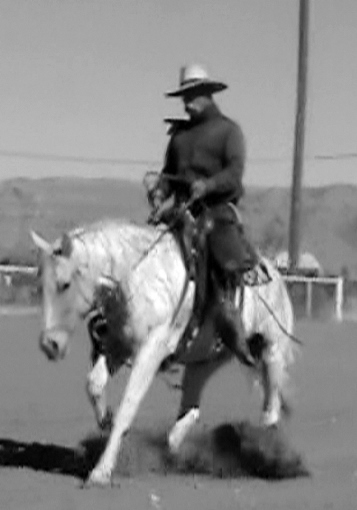 In this month's training we talk with Bob Kinford, Cowboy/Humorist/Author and Stockmanship Trainer. Bob is a very interesting guy with a unique perspective on life and stockmanship that we all need to learn from. Our life is controlled and lead by our perspective on life, with the right perspective anything is possible. In this month's training we talk about perspectives, stockmanship, cattle behavior, human behavior, horses and a whole lot more. Bob is an entertaining guy to listen to and learn from. If you would like to be able to manage 1000 head by yourself, move cattle from one place to another not only by yourself but with NO STRESS on the cattle then this training will be of benefit and interest to you. If you would like to be able to graze rangeland with no fences and keeping the cattle in one herd and not all over the place, this training will be beneficial to you. If you have a small place or not that many head, eliminating the stress of working with cattle will benefit your meat production and your life. There aren't many of us that cannot benefit from better stockmanship practices so grab a pot of coffee (this isn't a short training) and get ready to learn some valuable lessons with some humor rolled in! Have you ever wondered how cowboys of old got cattle 1/2 way across the country without any fences? Obviously, the cattle stayed right where the cowboys put them in the evenings. How many people do you know, or maybe you are one of them, that have to chase escaping cattle from time to time? According to Bob Kindford, with proper stockmanship we can correct that problem. In this video Bob shows how he trained a herd of cattle to move peacefully and with their calves improving the calf loss of 15 - 20% considerable as well as making the whole job a one man job after his stockmanship training.